Automotive sales can be a competitive and cutthroat business. With most salespeople working on commission, grabbing a sale whenever possible becomes necessary. While many dealerships are eradicating the commission-only model due to workplace tension that can arise as a result, there’s no doubt that when it comes to the sales floor, it’s every person for themselves. With the help of effective training and team-building exercises, dealerships can create a more amicable atmosphere in which salespeople work together to expedite the sales process, therefore resulting in a higher volume of sales and increased profit, despite split commissions. So, how can you build camaraderie as opposed to competition among your sales staff? A go-to when it comes to team-building, engaging in sporting activities helps establish and solidify bonds between sales staff members. With the staff coming together to work toward winning, they’ll retain the subliminal message that success is achieved through teamwork. You can either make sporting activities internal (among your own sales staff), or compete against sales teams from other dealerships. What’s more, these kinds of activities offer a lesson in sportsmanship, and teach the importance of maintaining civility and support for fellow staff members. Furthermore, this kind of recreation gives your otherwise button-down sales staff an opportunity to get out of the office and into the outside world for physical activity to relieve any built-up stress or tension. It is absolutely crucial to evoke unity among your sales staff. Not only does this make a good impression on your customers, but it allows your sales team to feel like a cohesive unit. One way to accomplish this is to establish theme days. Incorporate this by having events like “Tacky Tie Tuesdays,” where all your salesmen wear wacky ties. Or you can try casual Fridays, where your salespeople are allowed to come to work in button-down shirts and jeans. Not only can these kinds of theme days become an inside joke among your sales staff that helps encourage bonding, but they make an amusing anecdote when shared with customers. Customers will admire your sales staff’s ability to let loose and have fun, as well as revel in their collaborative efforts. There are so many details and financial numbers that go into buying a car, so theme days can make the process a little more casual and personal—for staff and customers. This is an excellent activity for new recruits, especially when held right on your sales floor. It helps new hires familiarize themselves with the sales floor while also encouraging them to work together toward a goal. You can either create a scavenger hunt from scratch, or you can use geocoins. Geocoins are coins that can be electronically tracked and make for a great long-term, ongoing scavenger hunt. Hide one or many around the dealership, and watch your salespeople work to track them down. Your sales staff can be encouraged to continue the tradition by continually hiding and locating the stashed geocoins for ongoing team-building. You can also split your sales staff into teams and make it a scavenger hunt for a reward (such as a free dinner or gift cards). This provides you with an opportunity to both entertain and reward your sales staff, because the prize is sure to boost morale and showcase your appreciation for the staff’s hard work. Even better than working together toward a common goal is working together for the greater good. Engaging in community service as a sales team can be an enlightening experience. Whether it’s participating in a community cleanup or holding a fundraiser on the sales floor for a local charity, it’s an effective exercise for building morale—and a subliminal reminder of shared civil duty. Another benefit of this team-building tactic is its potential as a lucrative marketing angle. Spread the word about your dealership’s involvement in nonprofit work, and you just may get some free advertising out of it. Furthermore, it’ll send a message to customers that yours is a dealership of compassion and care. By setting aside business to emphasize the human element and remind your sales staff of the importance of charity, you could gain some free publicity as an advocate for conviviality in the workplace. There’s no doubt that team-building activities are highly effective. This is especially true for a field like automotive sales, where a tendency toward a dog-eat-dog outlook can encourage workplace hostility—which must be diffused for a dealership to be truly successful. According to the website Total Team Building, team-building offers a multitude of benefits, such as increased employee engagement, strengthened positive feelings toward upper management, doubled revenue, and decreased turnover rate. Companies that incorporate team-building strategies also have a higher employee engagement rate. In contrast to disengaged employees, engaged employees are 87% less likely to leave their jobs. 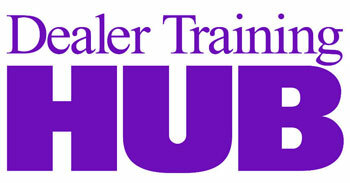 Consequently, team-building not only benefits the sales staff, but the dealership managers. 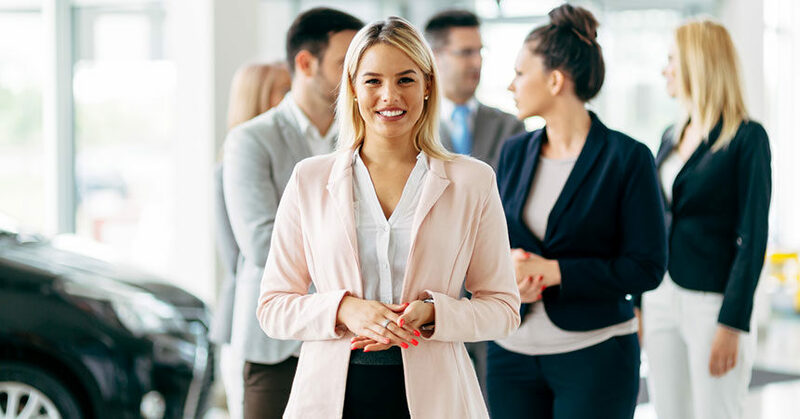 Employees’ outlooks toward their managers and bosses tend to be more positive when they are engaged, meaning they’re more likely to stay with their dealership and remain there for years to come. After all, the best kind of salesperson is one who is dedicated, satisfied, and has years of experience. Ellie Batchiyska is a writer for Monterey Company, a custom lapel pin and geocoin manufacturer that is a top choice for companies looking to build employee engagement and express employee appreciation.